Even the nerdiest man in the universe would love to imagine himself as a famous celebrity. I’m sure there would be many among us who would dream their entire life of being a famous superstar. Then there are those with unique talents who gained fame at a very early age. It’s pretty obvious that they gained such fame by their own charismatic talent and hard work. Here are a few “young stars” that have made their way to the peak of triumph. You don’t need to be a music freak to know of or hear the name of Justin Bieber or JB. This young talent performed his way onto the road of fame at only 5 years of age and ended up being the richest youngster of 2012. Having only graduated from high school recently, he’s already stolen a billion hearts by his amazing voice, innocent face and own unique style. He was the first ever artist who had 7 songs on the Billboard Hot 100. He also acted in a movie “Never Say Never”. Many people consider him as the next generation’s “Michael Jackson.” Only the future can tell us if that statement would be true, however, without a doubt he has had already put a huge stake in the music industry. Ashley Greene wanted to start her career as a fashion model but her 5’5” height did not permit her. But now she prefers acting more than modeling. She had to start her career by acting as a guest actress in a TV program named Punk’d in 2005. But she got viewers attention by acting in the cast of a “Vegetarian Vampire”, Alice Cullen in the hit film Twilight. It was the big break of her career. This Twilight star made a great impression on the viewers without being the main heroin of the movie. This 25year old actress represented Avon to stop testing on animals. As her whole family worked behind cameras, it was certain she would end up working for the media. Kristen Stewart started her career at an early age of 9 years when in 1999 she starred in a short role. Though she has gained people’s attention by her acting and simple beauty, she does not like to be at the center of attention. Kristen wants to be director or writer and wants to work behind the camera. In her personal life, she is romantically involved with Robert Pattinson, her co-star in the Twilight movie. Her upcoming film is “Snow White and the Huntsman” where she will play the role of Snow White. Another young star worth mentioning is Selena Gomez .She turns 20 this July. Selena started her acting career in 2002 and got her big break in a Disney Channel TV series ‘Wizard of Waverly Palace’. She gained an Emmy Award for portraying the role of Alex Russo. Selena expanded her career in the music industry in 2008. She had her own band named “Selena Gomez & the scene”. Her debut album “Kiss & Tell” was in rank 9 in the US Billboard 200. She has gained many awards for her acting and as well as for her singing quality. He is well known as the prince of magic. He can destroy all the evils of the world with his wand. He is the one and only HARRY POTTER. Daniel Radcliffe, the young man that plays the Harry Potter character started his career at the age of ten with the BBC One. 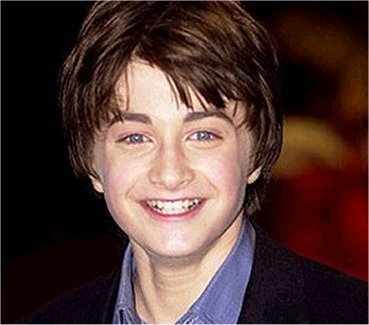 In 2001, at the age of eleven, he was cast to play the character of Harry Potter in the series of HARRY POTTER movies. He has acted in the series of movies for ten years up to the last movie in the series ‘Harry Potter and the deathly Hallows part-2’. His last film was “The woman in black” and his next upcoming film is “Kill your Darlings”. Unbeknown to most of us, this youngster suffers from Dyslexia and can’t do many simple tasks like tying his own shoelaces. His unique acting abilities along with his innocent face have made him become one of the World’s most famous super heroes indeed! 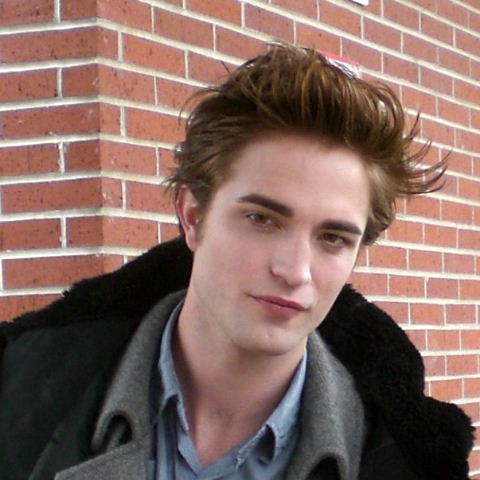 Twilight movie star Robert Pattinson started his career as a model at only twelve. He was tall and much alike a girl which ensured he had a successful modeling life. But it didn’t take long until his success carried him into another arena! In 2008 and 2009, he was named one of the sexiest men alive by People and Glamour magazines. He started his career in the film industry by portraying the cast of Cedric Diggory in the movie named “Harry Potter and the Goblet of Fire”. In his personal life he is romantically engaged with his co-star in the Twilight movie series, Kristen Stewart. This Indian super star started her career as an anchor in an international travel show. But she got people’s attention by acting in the Oscar winner movie “Slumdog Millionere”. Last year 4 of her movies got released. Among them the movie “Immortals” should be mentioned. The People magazine named her one of 2012’s Most Beautiful At Every Age. This Indian actress did not appear in any Bollywood film until now. In her personal life she is living with her boyfriend Dev Patel in Los Angeles. Miley is one of the most famed American youngsters. This Disney girl achieved attention by acting in a role as Hannah Montana. She gained the nickname “Smiley” which in my opinion suits her. She has an amazing smile which goes together with her awesome singing quality. Her movie “Hannah Montana” was a top hit where she gained many prizes for her acting and singing. In 2011, she was in the top position in the rank of the ‘Top 10 Richest Teens’ in Hollywood. In her personal life she is dating her “first serious boyfriend” Australian actor Liam Hermsworth. 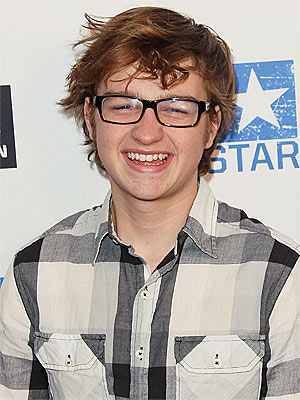 This 18 year old actor is best known for his role as Jake Harpor in the TV series “Two and a Half Man”. He also played supporting roles in See Spot Run, The Rookey and other films. He won 2 awards ‘Young Artist’ and a ‘TV Land Award’ as a promising actor. This young American actor has already started his life towards a successful path. Without any doubt, we viewers will see more of this charisma young star in years to come! Who is more deserving of still making it big in the music industry than the young Justin Bieber? I am not a huge fan at all but he has proven to his haters and his fans that he may be young but he can still hang with the veteran performers. Over his short career Bieber has made many friends, but also many haters. Despite all the haters he has showed us all that he deserves the respect and recognition of a great young artist. His new single ‘Boyfriend’ has hit the stores so lets support the young man on his way to a very great carreer!